This is a very accurate and very fun 22LR rifle; I've dinged 12"-16"ish steel plates over and over with it at 250yds (with about a 6 foot holdover of course). It's only been to the range maybe three times and had about 150rds through it. It loves CCI Mini Mag ammo. EDIT: I found the rest of the mags, I have 4 10rd (two brand new in the package) and the stock 5rd. 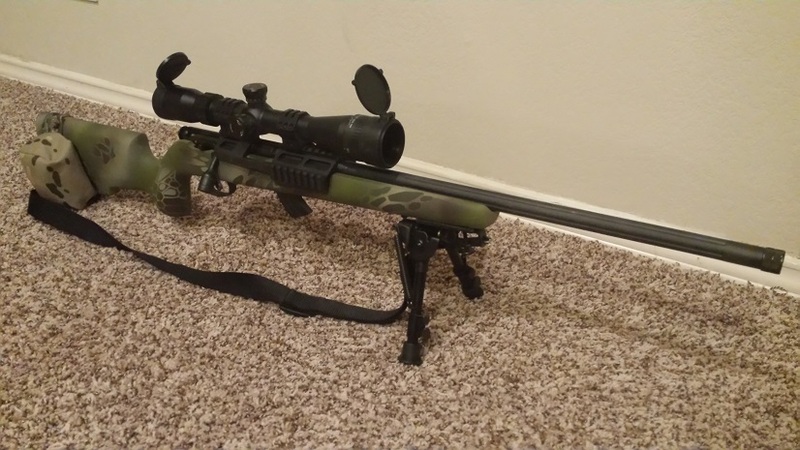 EDIT 2: Most accessories have been sold, selling the rifle alone now. Will throw in the Weaver 30mm rings if needed. I'm asking $315 for the rifle alone. I would HIGHLY prefer FTF north of Ft. Worth (I'm near Cabelas), but if needed I'll ship from my FFL to yours for the actual shipping cost. Last edited by MadMonkey on Sat Feb 17, 2018 8:44 am, edited 8 times in total. Price lowered. 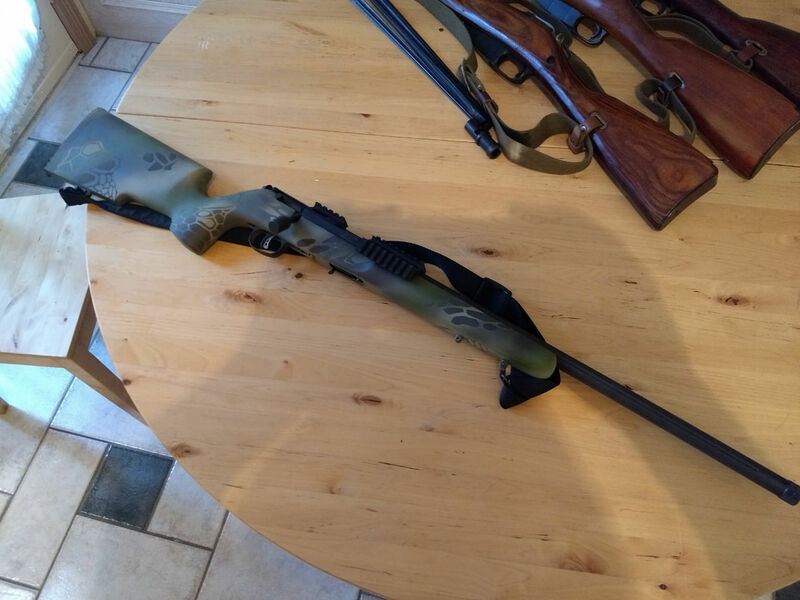 Selling the rifle alone for $400. I'm selling (or trying to) the accessories elsewhere. So they may not be unavailable. Also I found the rest of the mags, in total there are 5, 4 10rd (two NIB) and the stock 5rd. 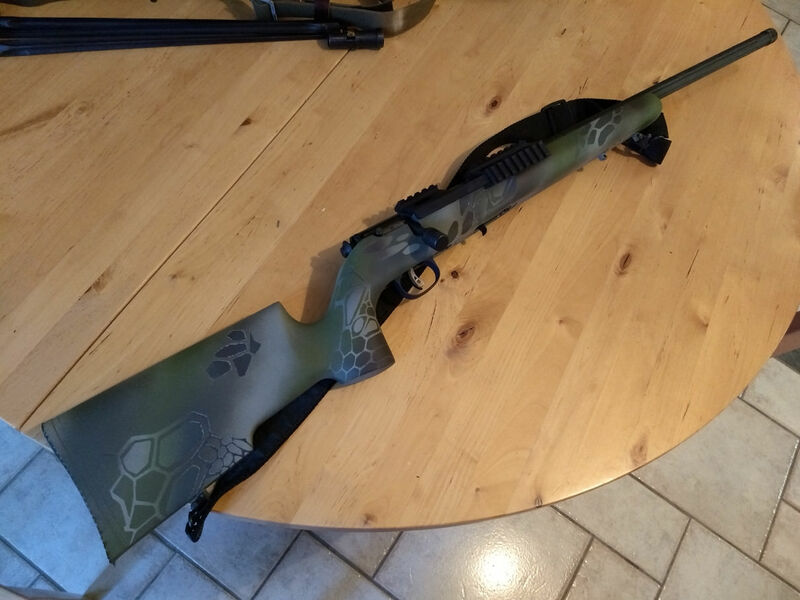 Man, that is a sweet little rifle. Sadly though, it's "wrong-handed" for me. If it were a lefty, I'd take it, along with the accessories. 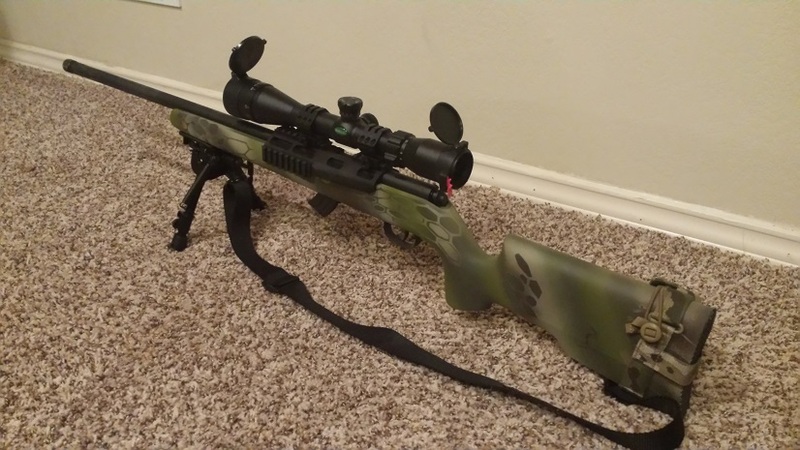 SOMEBODY BUY THIS RIFLE!!!! You won't regret it. The Annoyed Man wrote: Man, that is a sweet little rifle. Sadly though, it's "wrong-handed" for me. If it were a lefty, I'd take it, along with the accessories. Nice try, but I promised myself years ago, Moore right handed bolt guns. But if I was a rightie, I'd snap it up in a second. Somebody will .....or should buy this thing soon. Updated. Most of the accessories have sold so selling the rifle alone now. I'll throw in the 30mm scope rings if you need them. Price reduced, couple of current pics added.